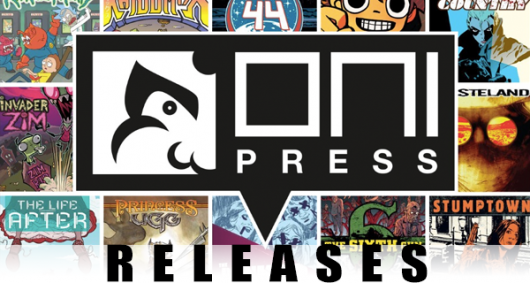 Below you’ll find the solicitations information and cover artwork for all of Oni Press comic book titles that were released on April 27, 2016. 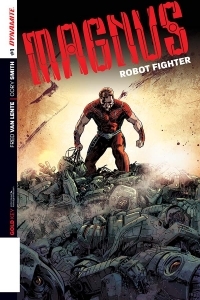 Magnus Robot Fighter #1 is one of those comics where you don’t really know what’s going on. At about the halfway point, you’re bashed in the head with a totally different book, and luckily, both are amazing!! Fred Van Lente sets up an awesome world, establishes a fantastic atmosphere, and the introductions in the book flow nicely and are very natural. Then, he punches us in the face and throws us all for a HUGE loop. But, it’s all done in a good, solid, entertaining way. This is like reading a summer big budget science fiction movie, which is exactly what this book needs. I only casually followed this book in the past, and while I found it interesting, previous series never really “grabbed” me. But this issue and series is a WHOLE different ball game. 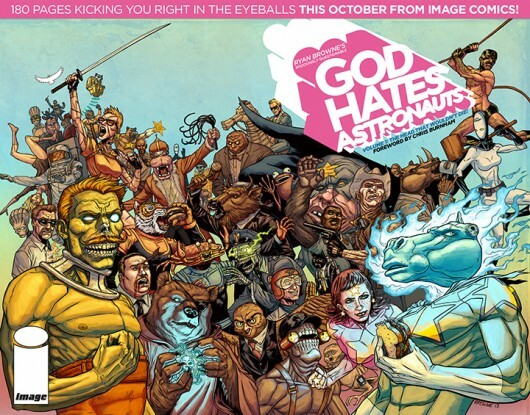 Image Comics Brings ‘God Hates Astronauts’ To The Masses! After one of the most successful Kickstarter campaigns EVER, Image Comics is teaming with God Hates Astronauts creator Ryan Browne to bring the beloved web comic to comic shops everywhere this October! BOOM! Archer & Armstrong #9 opens with a bang and doesn’t even attempt to slow down! 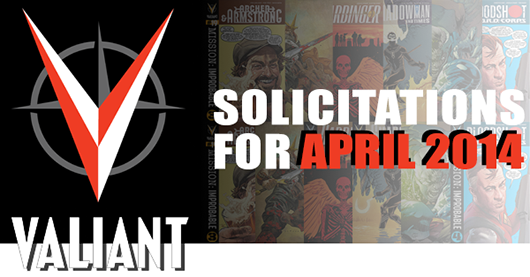 This is only the second Valiant comic that I’ve read since they’re relaunch (shame on me) and I have to say, I was pretty impressed. Enough to delved deeper into their universe. But, that’s besides the point, we’re here to talk about this issue. I’ve become a fan of Fred Van Lente over the last few years, and with good reason. Everything he’s written, from Hercules to GI Joe, has been very entertaining. This book is no different. We get a nice recap inside the front cover and then we hit the ground running. If you’re familiar with Van Lente’s writing, then you’ll know he excels at adding humor to his scripts and this issue is no exception. Even though Archer & Armstrong are fighting against each other, and higher forces than they can handle alone, there’s some great wise cracks, and the occasional laugh out loud moments. As always, Van Lente does a great job with characterizations and writes with the artist in mind. This is a very enjoyable issue! There are a lot of great comic book art blogs out there, beyond the deviantart pages of the world, and if you’re a comic book fan, these are webpages that you should be checking out on a daily basis. All this week, I’m going to highlight a few that I think are worthy of your attention or are just pages for some of my favorite artists. Today, we look at a collective webpage, Comic Twart. 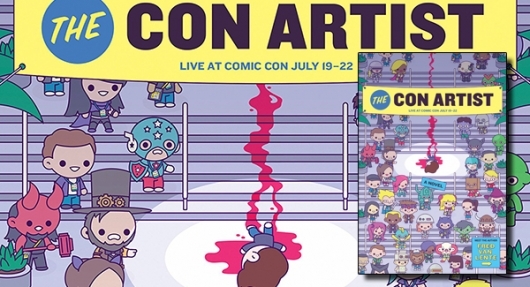 Comic Twart was started in early 2010 and features work by nearly 20 different artists, who generally tackle a theme each week and show their different takes on that week’s theme. 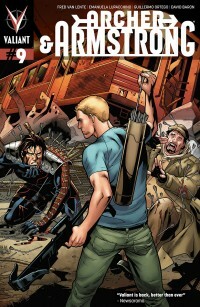 The artists involved include Mike Hawthorne, Chris Samnee, Mitch Breitweiser, Tom Fowler, and Dave Johnson. The theme is generally a specific character, but it could be a more general concept. Recent themes have included Giant Monsters, Power Girl, The Flash, and Space Ghost.